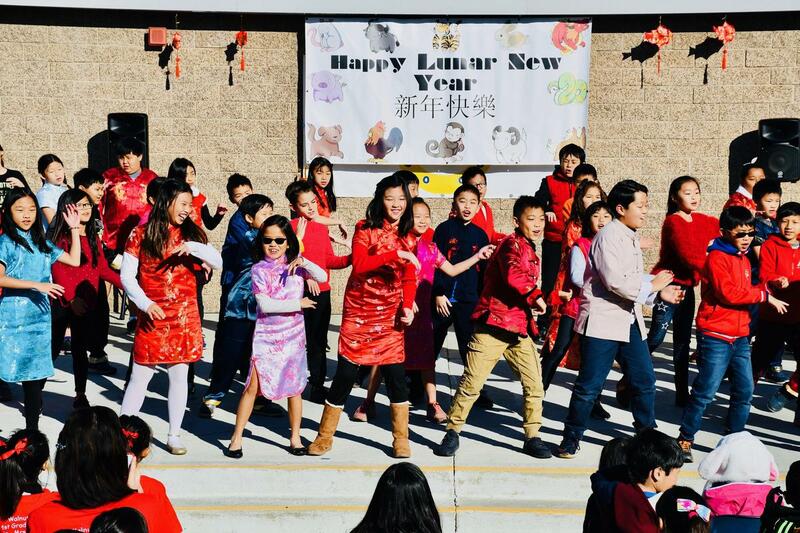 WALNUT, CA—Over 350 students performed skits, poems, and songs, entirely in Mandarin, during the 7thannual Lunar New Year celebration at Walnut Elementary. 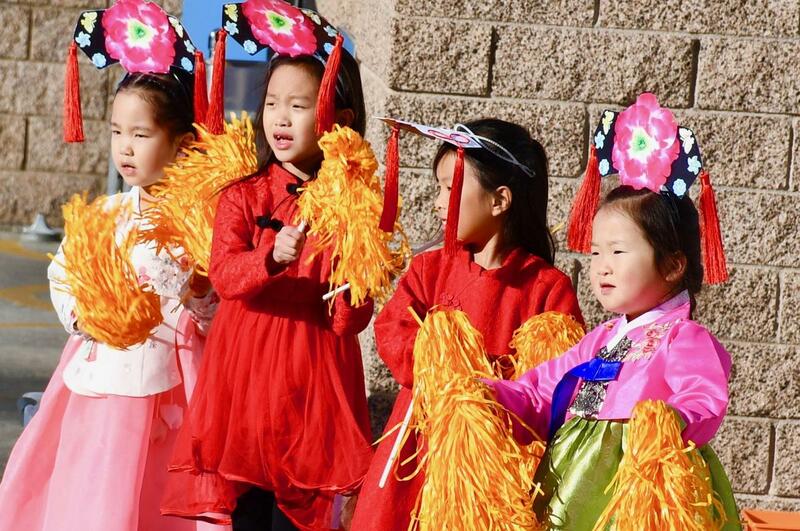 The kindergarten through 5thgrade children are part of the school’s Dual Language Immersion (DLI) program that offers unique and innovative instruction in both English and Mandarin. 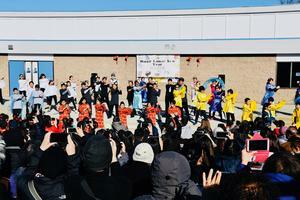 Each grade level took a turn on stage to perform choreographed songs, dances, and skits for families and schoolmates on February 6 and 7. 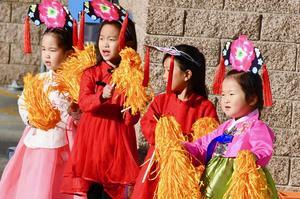 Kindergartners sang and danced the cheerful “Well Wishes on New Year” and “Happy New Year” songs. 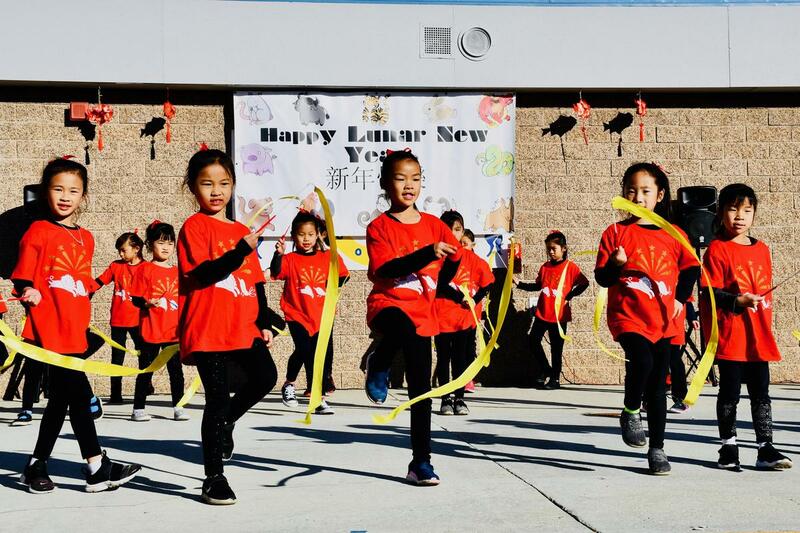 First graders danced with ribbons and lanterns during Cold Play’s “Yellow” covered in the hit movie Crazy Rich Asiansby Katherine Ho. The children shared that bringing rice cakes to friends and family is a wish of promotion and growth during the Big Sticky Rice Cake skit. Second graders sang and danced to “Welcome Spring with Firecrackers” and third graders explained the way Chinese prepare for the Lunar New Year. 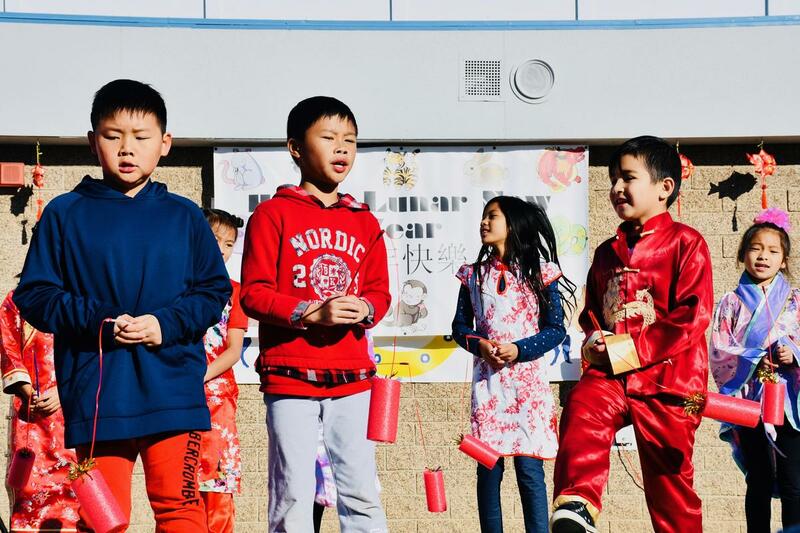 The students recited a chant enumerating the tradition practiced during each of the 15 days and shared the importance of Family Reunion, Couplets, and the Lantern Festival. Fourth graders performed a skit of Chinese folklore about a monster named Nian and how red firecrackers play an important role in celebrating the new year. Fifth graders presented the ancient folktale of a mouse family trying to find the best son-in-law for their daughter and the finale “Congratulations on a New Year” song. 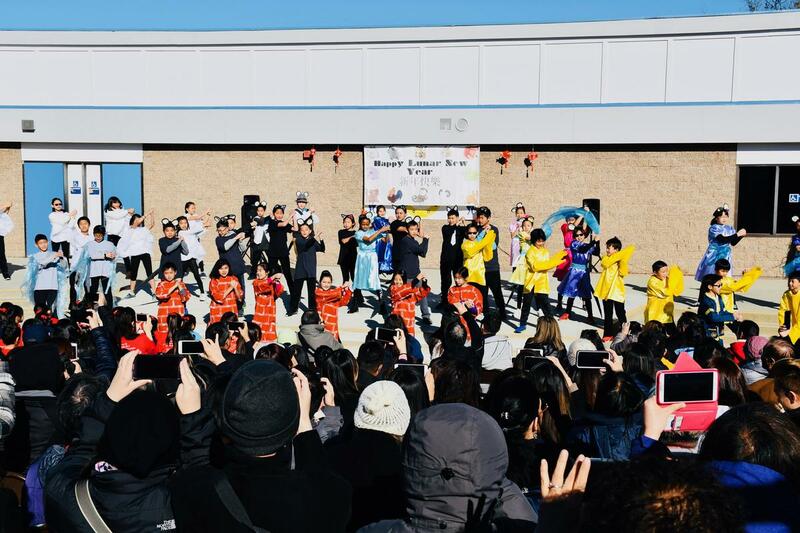 “We wish you lots of health, wealth, and happiness!” said teacher Krystin Wong who co-hosted the event with Principal Robert Chang. 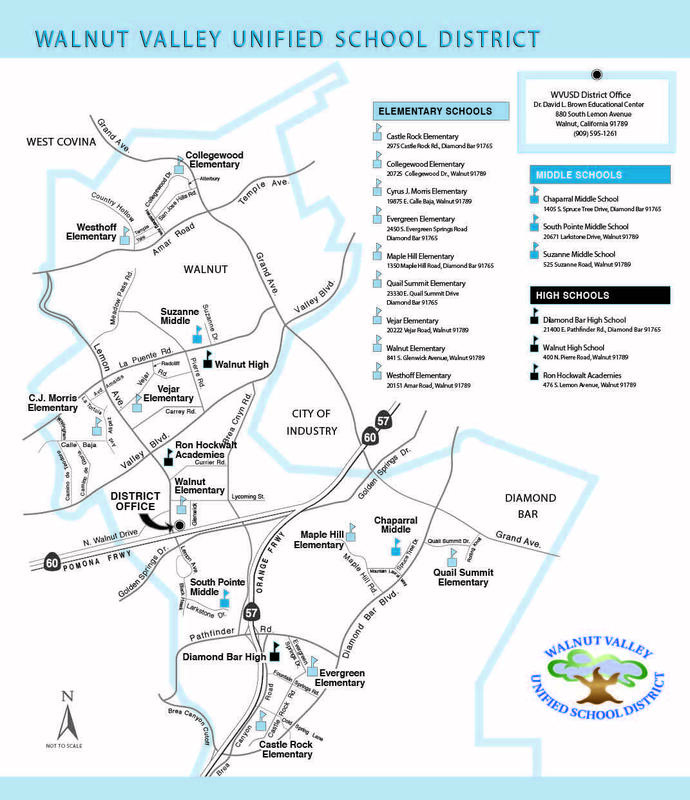 The Dual Language Immersion program is available for kindergarten through seventh grade students in the Walnut Valley Unified School District. Applications and information are available at www.wvusd.k12.ca.us. 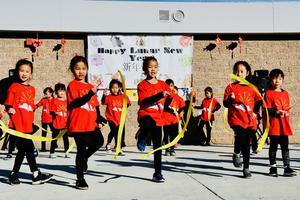 Walnut Elementary DLI students ring in the Lunar New Year on February 6 and 7.